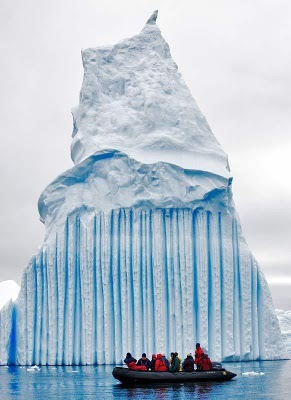 Icebergs in the Antarctic area sometimes have stripes, formed by layers of snow that react to different conditions. 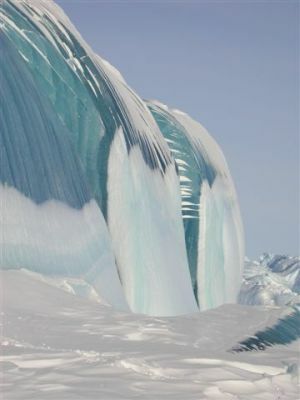 Blue stripes are often created when a crevice in the ice sheet fills up with melt water and freezes so quickly that no bubbles form. 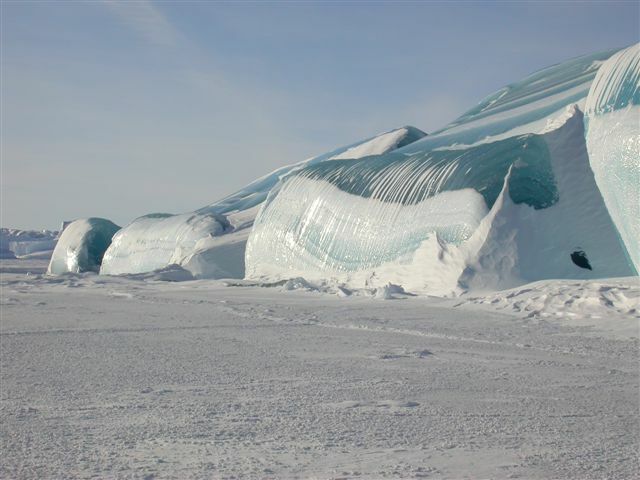 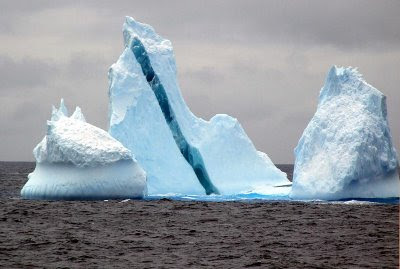 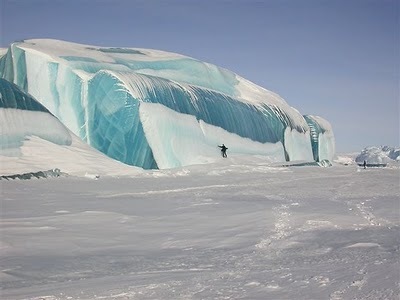 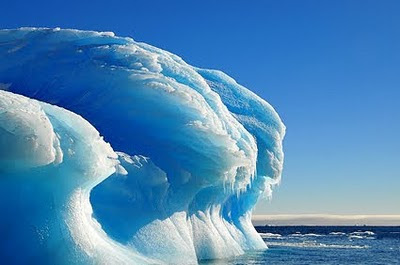 When an iceberg falls into the sea, a layer of salty seawater can freeze to the underside. 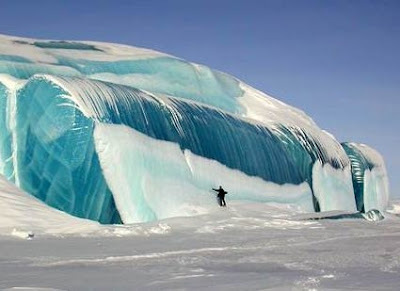 If this is rich in algae, it can form a green stripe. 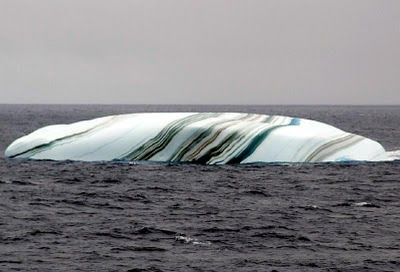 Brown, black and yellow lines are caused by sediment, picked up when the ice sheet grinds downhill towards the sea.